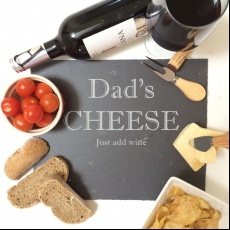 This gorgeous slate cheese board is must-have gift for any cheese lover! Note: Please include apostrophe in name field if required. 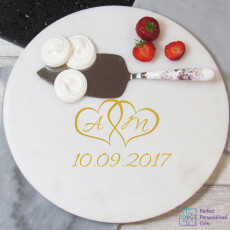 As you can add any message, please be advised that the longer the message the smaller the personalisation will apper once engraved. 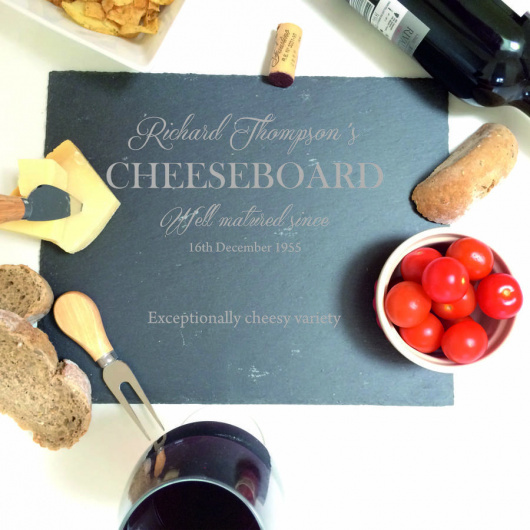 This elegantly designed slate cheeseboard is a must-have for any cheese connoisseur! It is beautifully hand-crafted in Yorkshire and makes a fantastic gift any time of the year. 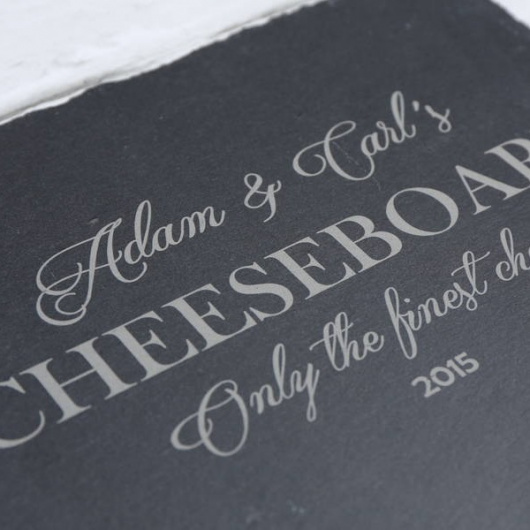 Personalise this wonderful gift with a name, message and date to make it one of a kind, a gift that will make them think of you every time they dig into their delicious cheese. If you would like another saying across the bottom please just contact us and we will do what we can. We would be happy to discuss any variation on a theme. The perfect gift or Christmas, Birthdays, or just someone who deserves a treat! 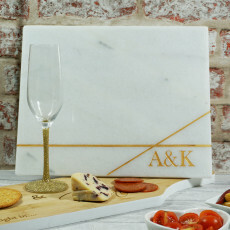 Please note that this cheese board is made from natural slate but we think its slight imperfections add to its appeal. You might spot mottling, fine grey thread lines, colour blemishes and a maybe a few cracks but we hope you’ll agree that they add a touch of character to our slate designs. Your text will be printed exactly as you have entered it on each link in the boxes provided, so please double check spelling, punctuation and capitalisation. We will print exactly what you add into the box so please ensure it is correct. We cannot refund or replace your order if it is your error. This gift does not include cheese, wine or knifes. Shopping last minute? Don’t worry, just select next day delivery when you order and we’ll do the rest for you!